The highly anticipated new Nike Metcon DSX Flyknit 2 has been released today! 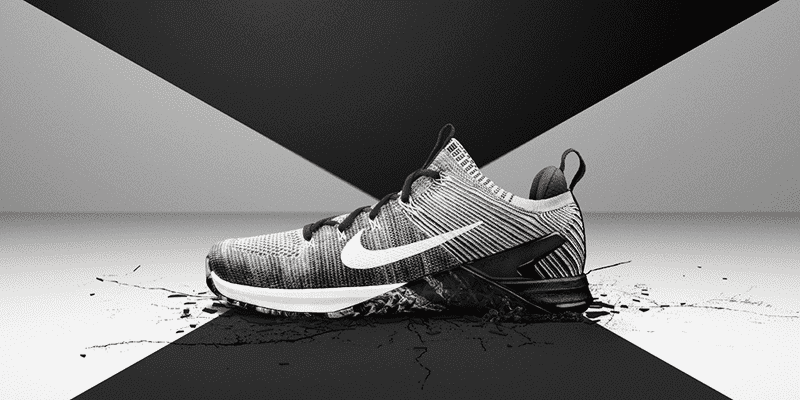 The Nike Metcon DSX Flyknit 2 is finally here, so check out these reasons why it will help you to improve your WOD times and turn you into the best athlete that you can be! The enhanced Flyknit upper and remodeled TPU heel clip creates a shoe that feels like you are wearing a more comfortable and responsive Nike Metcon. The enhanced flexibility comes with no loss of strength, and the effect is an impression of feeling quick and light on your feet, right out of the box. 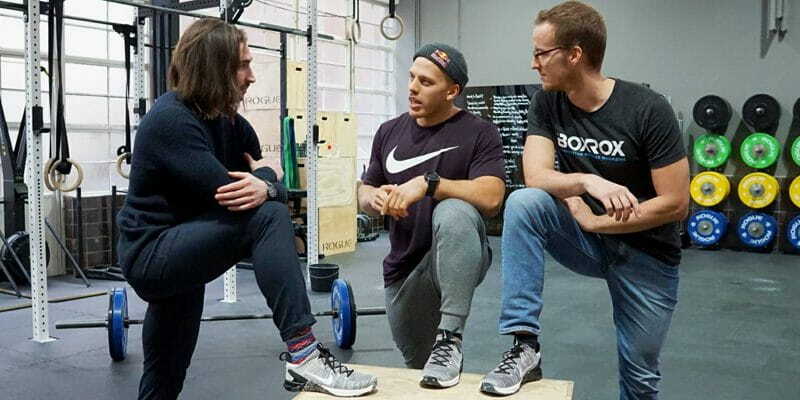 Listen to what Jonne had to say about the new Nike Metcon DSX Flyknit 2 after he tested it for the very first time during his workout in Berlin today . The one piece upper fits like a sock, creating a snug and locked in feel. There is no tongue, rather the laces and Flyknit cables work together and intertwine to keep your feet in place. The designers at Nike have raised the height of the ankle to a more mid-top level in comparison to the first Nike Metcon DSX Flyknit. This provides additional support for your ankles. One issue that occasionally flared up with the the original Nike Metcon DSX Flyknit was that it cut into or pressured the Achilles tendon whilst training. Nike have responded to this in this new model by extending the height of the heel padding and adding more cushioning as well. When combined with the TPU heelplate, the result is a shoe that feels surprisingly sturdy yet responsive to quick movements. I tested these in both WODs and longer running workouts and never experienced any discomfort in my Achilles. In fact the opposite was true, as they felt light and comfortable on my feet. The raised padding was also effective for workouts involving high rep box jumps, where pressure is especially prevalent on the calves and ankles. The Nike Metcon DSX Flyknit 2 is great for running, jumping, bounding and bodyweight movements. In comparison, the normal Nike Metcon is designed more for heavier WODs. The former really comes into its own with lighter workouts and is actually very comfortable for longer runs as well. When your workout involves both running and lighter lifting, burpees, bodyweight exercises and gymnastic movements then it really excels. If you are a primarily a runner then of course it makes more sense to select shoes created exclusively for running, but if you train in the Box or gym and running is also a part of your programming, then the Nike Metcon DSX Flyknit 2 will be a strong fit for your needs. Check out Jonne Koski right at the end of a tough 15 min AMRAP. I caught up with him today whilst he was training in the shoe in Berlin. If you are in Berlin for the first edition of the Beast of Berlin, don’t miss the chance of testing the new Metcon, and take him on in a 1 minute burpee AMRAP! I took them on a 7km trail run over rougher ground and they performed effectively. Again I found the extra ankle support, raised Achilles padding and Flyknit cables kept my feet comfortable and secure. The heel clip for HSPU is not new to the Nike Metcon DSX Flyknit 2, but it is still a highly useful design concept from Nike. It is a detail that will help you with the 1% details of your training. The smaller surface area in contact with the wall creates less friction and the hard, smooth plastic allows you to glide when you move up and down rather than sticking and faltering. At the end of the day you get better at HSPUs because you improve your technique, strength and mentality then perform and practice them many, many times. But paying attention to the smaller details can give you an advantage, and in competition, those small margins can often be the difference between places and prizes. Our team talking with Jonne Koski about his first impressions of the Nike Metcon DSX Flyknit 2 today. Bar facing burpees or burpee box jump overs are never a pleasure, but they are made easier by training shoes that ensure you don’t slip on the ground or your feet don’t slide around inside the shoes you are wearing. When you watch top athletes such as Mat Fraser and Lauren Fisher perform these exercises you will notice how efficient they are. They eliminate all unnecessary movement and spring from the exact position that they raise themselves into after the lowest part of the burpee. This often involves quick lateral movements, jumping and generating power when their feet are turned at an angle or side on. In training, this is where I noticed the most responsiveness and support from the Flyknit cables. Both the male and female designs are striking. The textured upper works well with the minimal tones and sharp lines of the sole. The new Flyknit design looks sleeker than the previous model as well. 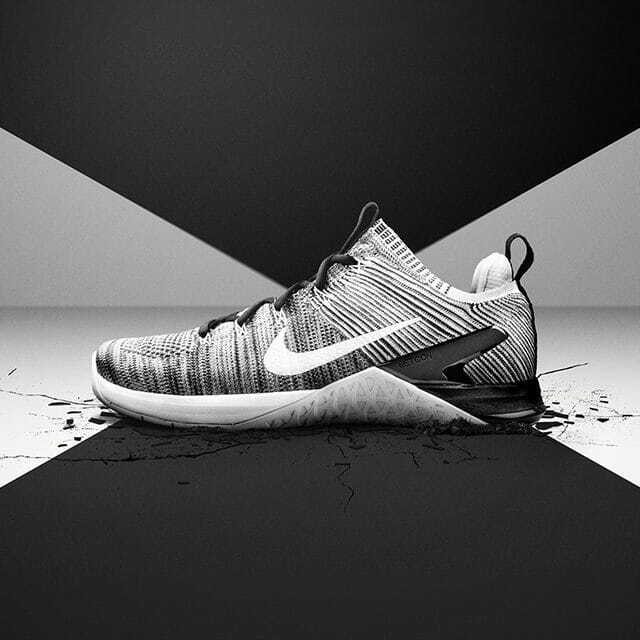 Here you can see the black/white/marble designs, but the Nike Metcon DSX Flyknit 2 will be available in a large variety of colours to suit your personal taste. The material of the one piece upper is strong and thin, allowing your feet to breathe well throughout any workout. The combination of the stable sole and flexible and newly designed upper creates a training shoe that is much more versatile than you would expect. Slightly more comfortable than the traditional Metcon, the Nike Metcon DSX Flyknit 2 feels light on your feet, but maintains a stable, grounded feel with its solid all-round performance.